How Independent Contractors May Be Owed Workers Compensation | Johnson & Gilbert, P. A. Employees enjoy many benefits that independent contractors do not, and the most important of these is eligibility for medical coverage through workers' compensation. Since independent contractors make their own hours and work for many different employers, they aren't owed employee benefits and often have to continue working after an injury as a result. However, employers often intentionally misclassify employees as independent contractors to avoid paying the costs of payroll taxes and insurance, and some companies may mistakenly misclassify employees due to oversight. Whatever the reason, the result is the same: the employee is told he or she isn't eligible for medical payments and income replacement through workers’ compensation. 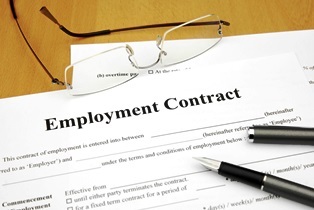 When Can Independent Contractors Receive Workers' Compensation? When a worker is injured, employers may try to discourage injury claims by denying that the worker is an employee. The key to getting workers’ compensation lies in proving you are an employee rather than a contractor. The employer directly controls your work. Independent contractors are free to work without the direction or close supervision of the employer. If you don't complete your work independently, you may actually be an employee. You are an hourly or salaried worker. Independent contractors usually receive payment for each task they perform, or an agreed-upon amount at the start of the job. In contrast, employees receive hourly wages or are issued a regular salary. Your employer provides the tools you need to work. Employers are required to provide the equipment that employees need to work, but independent contractors typically use their own tools and resources. You work for one employer on a regular basis. Independent contractors often perform highly-skilled work for a variety of clients across many different companies. If you perform work primarily for one company, you're likely to be considered an employee. If you believe you were misclassified as an independent contractor, you should speak to an attorney at Johnson & Gilbert, P.A. as soon as possible. Contact us today by filling out the quick contact form on this page, or order your free copy of our book, It’s Not Rocket Science, It’s Workers’ Comp, to learn more about your employee rights.